Munnar in Kerala is perhaps the most visited tourist spot which sees tourists flocking all throughout the year. It’s a town and hill station located in the Idukki district of Kerala. Munnar is situated at around 5,200 ft, in the Western Ghats mountain range and is often called the "Kashmir of South India" owing to its unmatched beauty and lush green slopes. The place is famously known for the tea produced over here which often finds itself getting packed and flown over to Western countries. 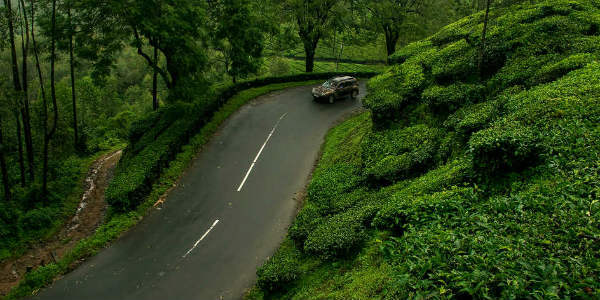 Munnar's climate is classified as 'warm and temperate'. 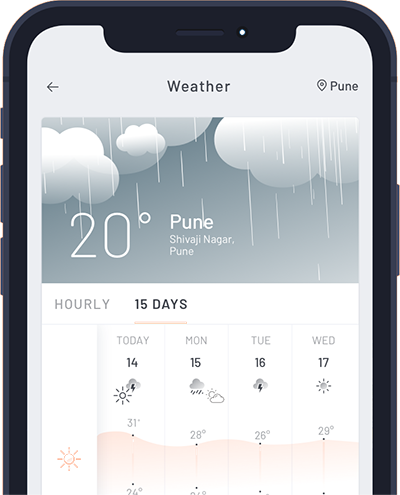 The temperature ranges between 5 °C and 25 °C in Winter and 15 °C and 25 °C in Summer. It is a rare event when temperatures are recorded below the zero-degree mark. 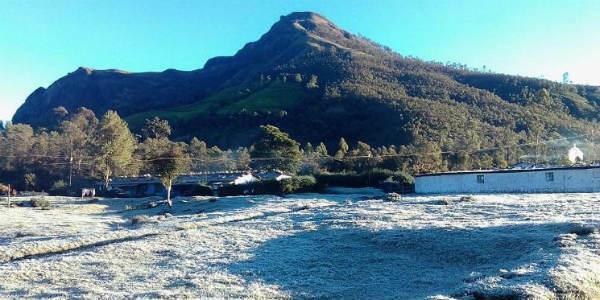 However, recently places like Chendura, Chittuvara and Lakkad in Munnar, recorded minimum temperatures falling up to -3°C over the weekend. In the morning, people witnessed thick layers of frost, covering grass, roads and cars all over the place. If anything, this was a call for tourists from the surrounding areas who wanted to witness 'something snow-alike'. 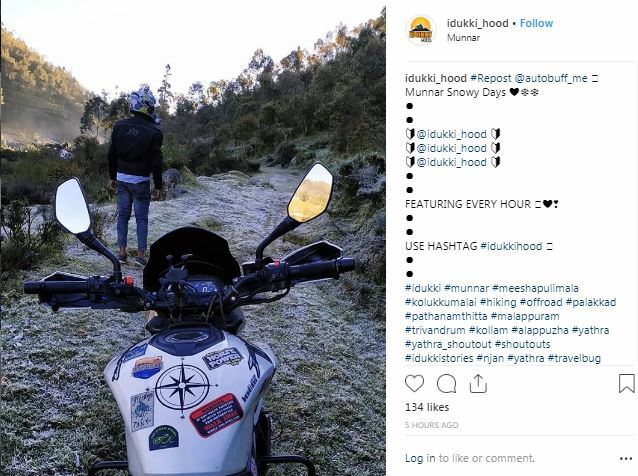 Social media was seen celebrating the morning frost with Munnar trending allover Twitter and Instagram. Presently, Cold Wave is prevailing all over the Indian Subcontinent. 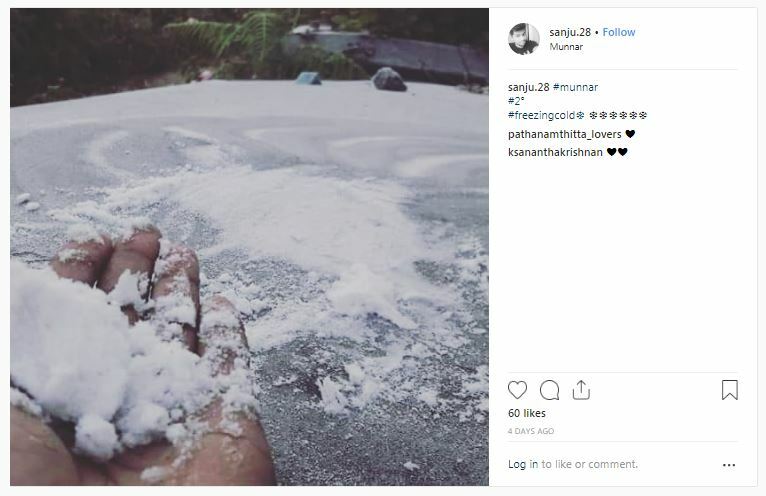 Cold and dry weather conditions are being observed in South India as well. The hill station, which is slowly recovering from the impacts of Kerala floods saw reduced tourist footfall over the place. However, the state has been seeing an influx of tourists from neighbouring areas because of the cold weather. When tourists and hoteliers are raising a toast back in Munnar, tea farmers are only worried as frost poses as a huge problem for the soft-supple tea leaves which usually wilt away and lose their vitality after such harsh weather.